The above title, and this introductory paragraph—admittedly provocative and brimming with rhetoric—are both mine (tp): Guilty as charged. The stories that follow, however, reflect the work of award-winning journalist and author Sandy Tolan, one of the few voices being given a hearing in the West regarding Israel’s ever tightening stranglehold on the 2 million imprisoned people of Gaza. We’ve all become used to hearing about–and then quickly forgetting–the world’s “looming” humanitarian catastrophes. But most of them, like the present one in Gaza (not to mention Yemen), are not only 100% preventable but exist solely because they serve the perverse interests of some cluster of state actors and their global enablers. The Gaza crisis is “made in Israel”, plain and simple. Especially if you’re an American citizen—whose government rubber-stamps Israeli policies and actions via air-tight protection in the UN plus an obscene, $10-million-a-day military aid giveaway, while at the same time cutting all humanitarian and development aid to the Palestinians—then you owe it to yourself to read (or listen to) ONE of the following stories— your choice. Tolan, I have found, has a unique way of bringing such crises into focus, putting them in context, and giving them a human face. Sandy Tolan’s recent reporting trip to document the growing water crisis in Gaza has led to stories in The Daily Beast, on PRI, a two-part series for Al Jazeera English, and an interview on the BBC World Service. Barely three percent of Gaza’s drinking water is fit for human consumption, and the crisis is claiming lives. Children face the most serious risk. Follow Sandy on Twitter for the latest on the ongoing #Gaza water catastrophe and potential #Water4Gaza solutions. 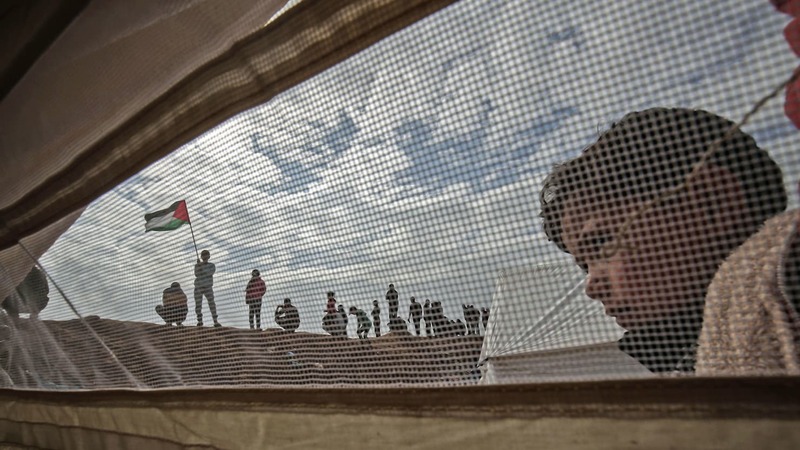 In the Mideast’s hotly contested Gaza Strip, where three out of four people are refugees, access to electricity and clean water is severely limited. 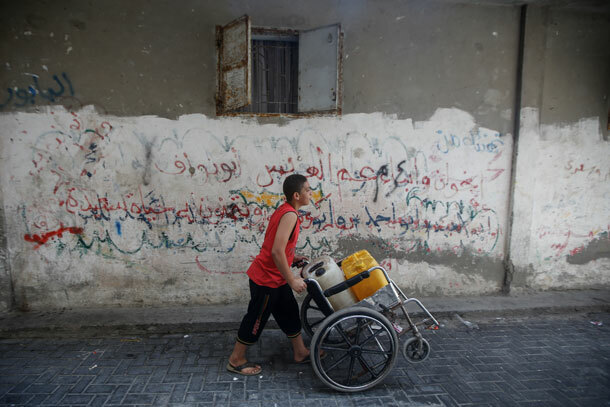 The unsafe drinking water has led to a worsening health crisis for Gaza’s children, who suffer from diarrhea, kidney disease, stunted growth, and impaired IQ. The problems include the lack of electricity to run Gaza’s sewage treatment plant, and the long-running conflict between Israelis and Palestinians. 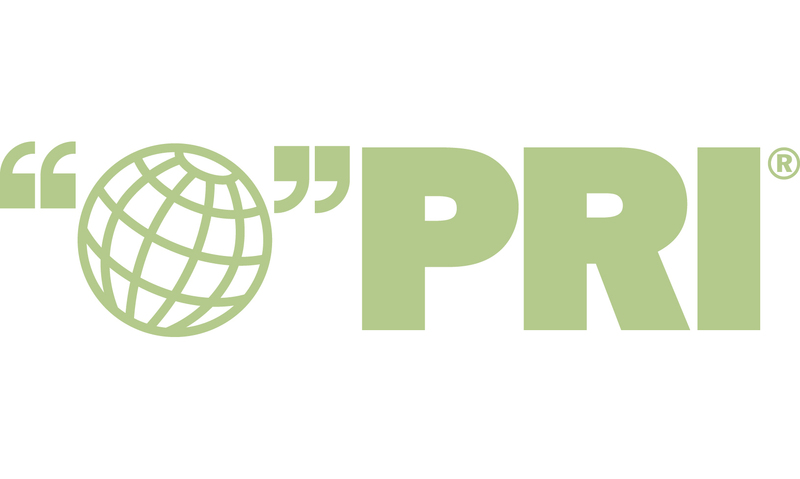 Sandy Tolan reports from the Gaza Strip for PRI’s Environmental News Magazine, Living on Earth. Gaza – The unshaven doctor with circles under his eyes enters the children’s ward at Al Nassar hospital in Gaza City. It’s a Thursday evening, almost the weekend. The ward is bleak and eerily quiet, but for the occasional wail of an infant. At each cubicle, sectioned off by curtains, it’s a similar image: A baby lies alone in a bed, hooked up to tubes, wires and a generator; a mother sits in silent witness at the bedside. Dr Mohamad Abu Samia, the hospital’s director of paediatric medicine, exchanges a few quiet words with one mother, then gently lifts the infant’s gown, revealing a scar from heart surgery nearly half the length of her body. 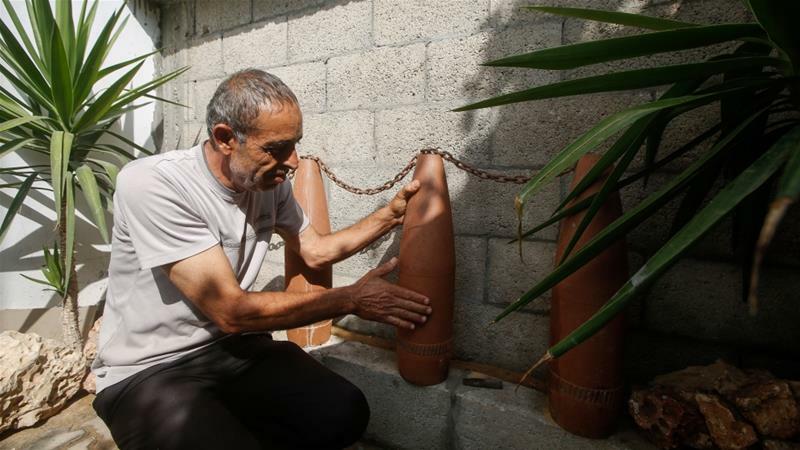 Gaza – When it comes to survival in Gaza, safe, clean drinking water is not at the top of Mousa Hillah’s list of priorities. Since the 2014 war, Hillah, known to neighbours and family as Abu Ali, has had far bigger worries, which are etched deeply into the exhausted face of the 48-year-old grandfather. This entry was posted in Gaza, Israeli-Palestinian Conflict, Occupied Territories, Palestinians, Politics, The Occupation, U.S. Foreign Policy and tagged Gaza, Genocide, Sandy Tolan, water. Bookmark the permalink.